The “Double 0″ DJ Booth has a smooth, stacked appearance that can sit in houses and clubs alike. The booth shown includes two CDJ pedestals and a laptop stand with space for a mixer and two turntables. The 00 DJ Table can be ordered without the optional laptop stand. 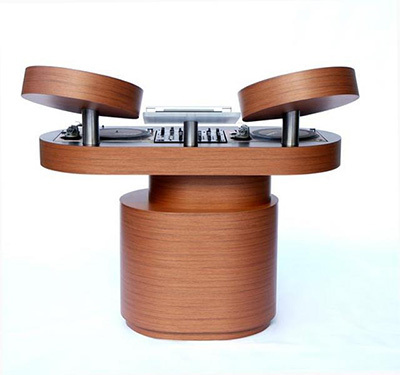 This product has been designed to hold 2 CDJ pedestals with space for a mixer up to 19″ width and two turntables.